Check out our Maui Treasure Chest Giveaway! We are going to stoke 1 person out with an amazing treasure chest filled with ALL SORTS of Maui epic-ness!! *****ENTER HERE ►►http://bit.ly/ALOHASTOKED1 ***** Click "Show More" for additional links. WANTED : YOUR VOICE - What part of Maui would you like to see next? Leave a comment below and you just might see it in an upcoming video! Mahalo! Beautiful! Am I the only one trying to figure out what is happening in the background at 10:17? Great video. We have been to Maui twice and have not done this. We are headed back in July but this WILL be on our to-do list! Mahalo! What music were you playing for the time lapse at the end of the video? Great Video man, good to see a vlog again! 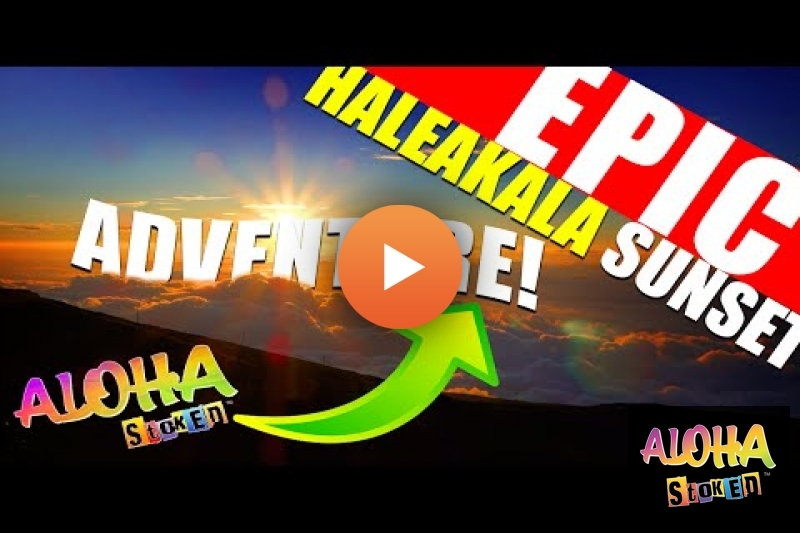 Kalani, this is probably the only way I will be able to see Haleakala, thanks for sharing! !I have always looked forward to your videos do to the Beautiful scenery!! Welcome back!! Great vid. This is now on my list for when I go. absolutely amazing, that time lapse! this time next month i'll be touching down in Maui for the very first time, Haleakala is one of the first places i'm heading to. perfect timing for Aloha Stocked to be kicking off! :D thanks Kalani! I'm still smiling about the Yodi high five... four? Sorry but Finding Nemo has warped my mind, all I can hear is Mount Wannahockaloogie. Kalani go to the auto part store and get a can of MAF/air density sensor cleaner and pull yours out and clean it, that may be part of the problem. It's just a little loop of wire that goes into your intake tube after the air cleaner. Heck yes !! ++AB back !! Great video! Do you have any tips for my channel? If I go all my life without visiting Maui. It's an epic fail! You in this video, I dunno. It was like having a huge fight with one of your best friends, not talking to them and seeing them again for the first time after that. Or meeting one of your ex's again. Thats how you acted this hole video. Not saying its a bad thing, and I'm happy to see you producing content again. The king is back! glad too see you back mate! Thanks for the Big Cinema. Welcome back brother. I hope you're good. It's good to see content again from you man. great to hear from you. ... its been a while but I hope your in a good place now...life is a roller coaster with it's lows and highs but things as simple as this sunset can help clear the mind..
so glad to see your back you are by far my favorite youtuber! so good to have you back kalani you are my idol!!!!!!! wow.. the end was incredible. glad to see you doing videos again. One question tho why didnt you say anything about whats been up with you? or how you have been doing? Kalani its so awesome your back my man!